Black Obsidian Gold Wire Double Terminated Pendant with 16” Chain. Delve into the depths of inner-strength, power, and energy protection with this black gemstone necklace. Black Obsidian grounds, heals, strengthens, and protects. This powerful gemstone promotes independence, leadership, insight, and self-assertion. Shield yourself from harmful vibes and develop a solid foundation for personal growth with this natural gemstone necklace. * * This gemstone has a strong vibration and should be used with caution. Black Obsidian needs to be cleansed often. Regain self-control with this Black Obsidian necklace. This powerful black gemstone is direct and consistent, it absorbs negative energy and transforms it. Black Obsidian encourages inner-strength and brings energy protection. Dare to confront, accept, and release the burdens that weigh you down with this natural gemstone necklace. * This gemstone has a strong vibration and should be used with caution. This gem needs to be cleansed often. Let go of fear, anger, and insecurities with Black Obsidian jewelry! This powerful black gemstone ring transforms negative energy and creates an energetic shield of protection. Black Obsidian activates the Root Chakra, it grounds and stabilizes energy. Wear this black obsidian ring to feel protected and aware. Protect your energy with this Black Spinel ring! This powerful, yet gentle gemstone brings balance and protection. Black Spinel activates the Root Chakra, Sacral Chakra, and Solar Plexus Chakra, clearing negative energy from emotional, physical, and spiritual areas. Get grounded and feel protected with this black gemstone ring! Cleanse your soul with Lava Stone! Lava Stone purifies energy and stabilizes the Root Chakra. 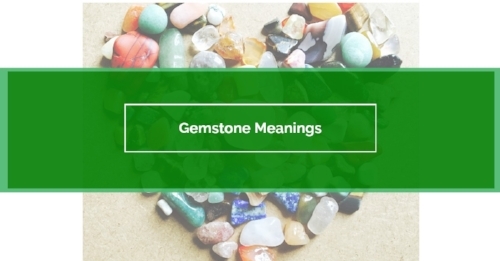 This grounding gemstone bracelet has an energetic vibration that uproots emotional baggage and strengthens important connections. Feel strong, protected, and stable with this natural Lava Stone bead bracelet!